Since 1949, Northrop &amp; Johnson has offered a new dimension of sophistication and service to the yachting lifestyle. 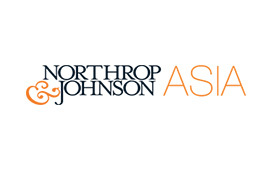 Northrop &amp; Johnson’s reputation of success is built on decades of commitment to clients and commerce within the industry. From yacht sales and purchase to charter to management and marketing of the world’s most discerning luxury vessels, Northrop &amp; Johnson offers a total-service approach. Our impressive record of yacht sales, growing charter fleet and global expansion are a testament to the honesty, integrity and steadfast promise to deliver the best to our clientele.